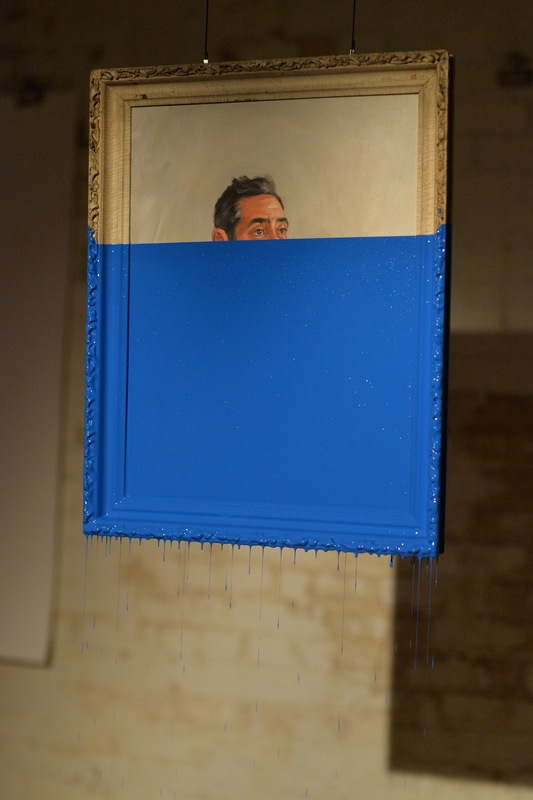 The portraits in Oliver Jeffers’s Dipped Paintings series exist as wholes only in the memories of those who’ve witnessed their submersion. 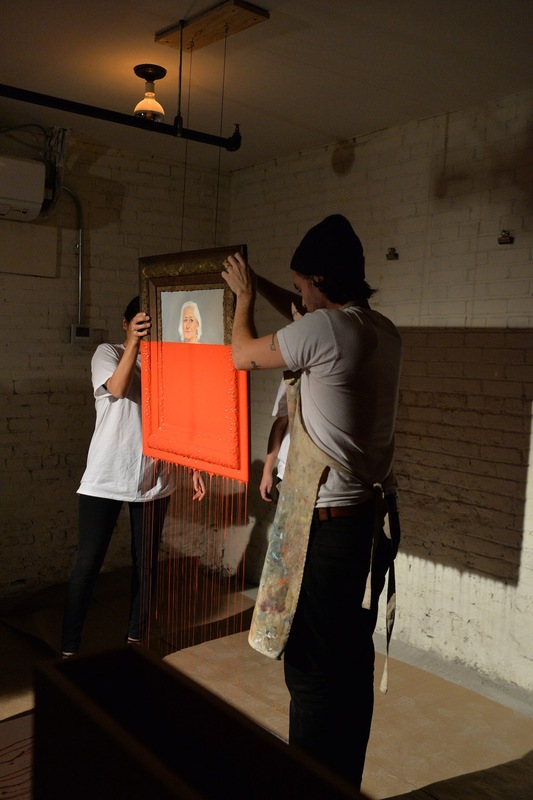 Last night, after gathering at a rendez-vous point and walking to an undisclosed location, small groups descended into a Manhattan basement and watched as Jeffers lowered portraits into vats filled with vibrant, opaque paint. As Jeffers explained, the paintings hadn’t been seen outside of his studio, and had never been photographed. (We’d been asked to place our phones in a briefcase at the entrance to assure it stayed that way.) 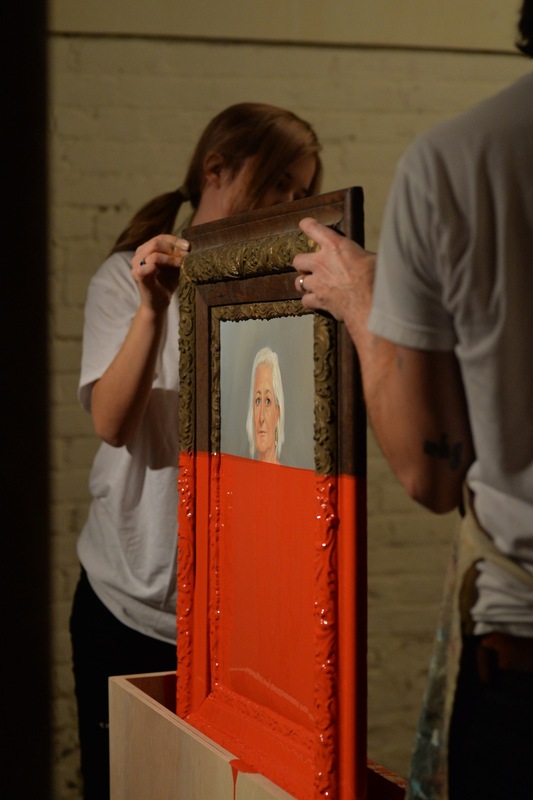 As my group was the last of the night, the other Dipped Paintings were hanging already with their vivid masks of enamel color, foreshadowing the fate of the portrait before us. Showing a woman with red hair cradling a telephone in one hand, the receiver pressed to her ear — the surprised subject also happened to be part of our group — it was slowly, surely drowned up to her eyes in a rich turquoise. 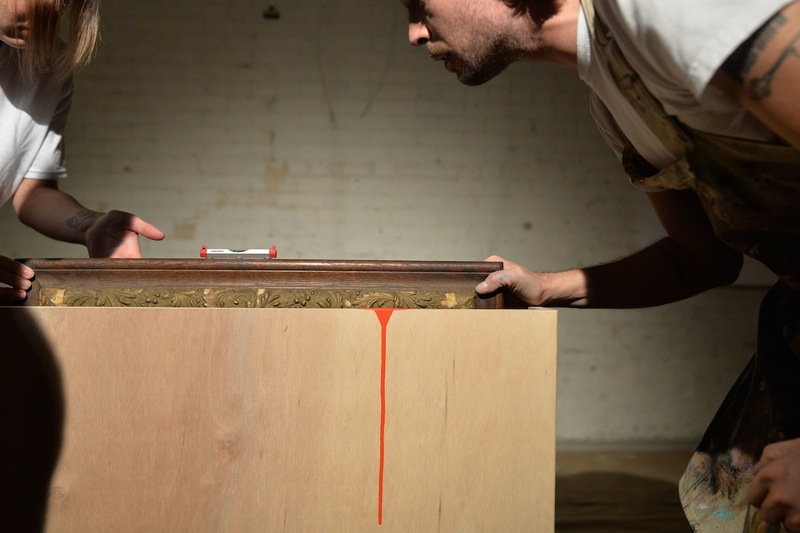 Or at least that’s what I remember, as the project is as much about the fragility of memory as the individual works. As Jeffers noted when we entered the basement, the floor of it used to be a road, that identity now forgotten beneath the buildings above, not unlike the details of the portraits drenched in red, orange, blue, and green dripping on the covered ground. 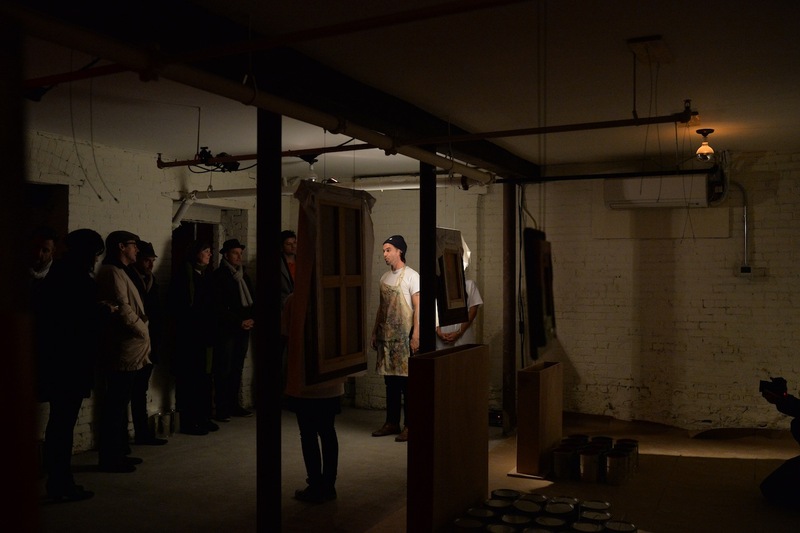 The Wednesday night gathering, the clandestine side of it collaborated on by the Night Heron of water tower speakeasy fame, is only a stage of what will lead to an eventual exhibition. Absence was the undercurrent of the evening, both in the paintings and the subjects, who Jeffers selected as having each experience some type of heavy loss. As he explained to me, he was inspired by both quantum physics and classical art, and the scientific logic against emotions. 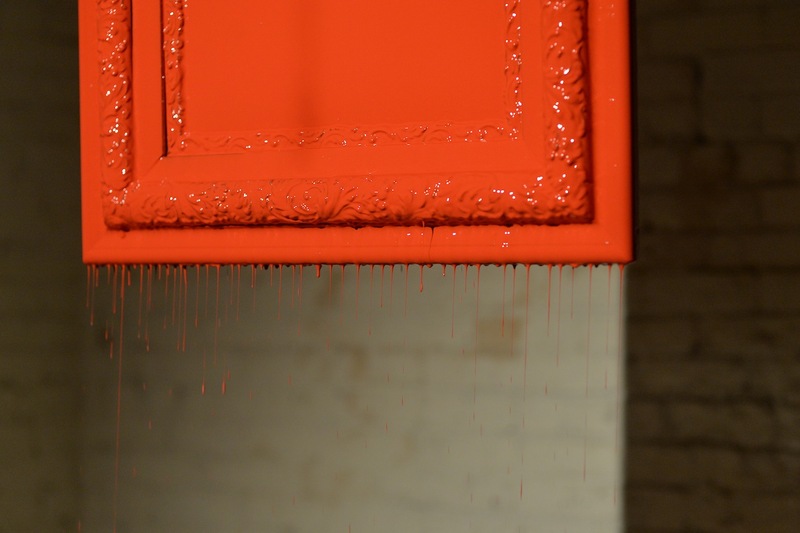 Like the paintings, once something is permanently gone, whether it’s someone who dies or an image destroyed, you have to rely on an “imperfect memory,” as he described it. 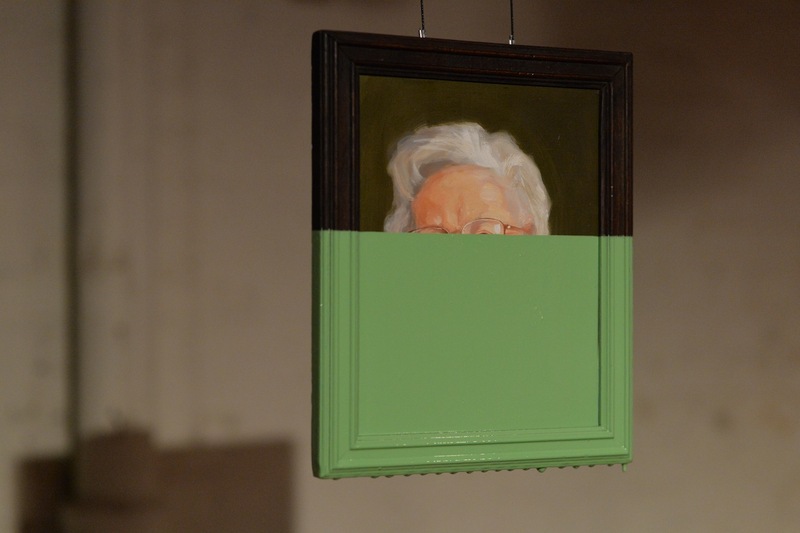 Even out of sight, I know that if I look at the portrait with its obscuring cover of turquoise in the future, an echo of the original will be there, distorted over time into a personal recollection. And with the others, there’s a curiosity about the lost details that can never be retrieved. 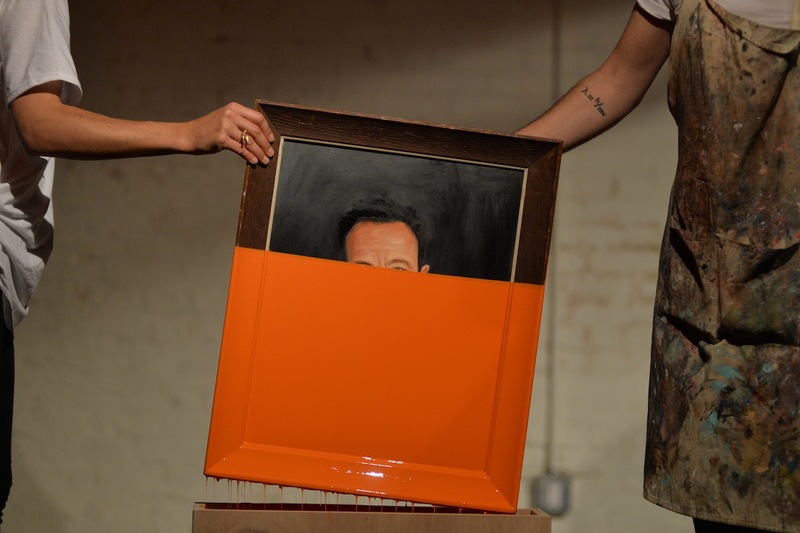 Oliver Jeffers’ s”Dipped Paintings” performance took place November 19 at an undisclosed location in Manhattan.